BiState Vintage Radio Repair, LLC, has a constantly-changing selection of vintage radios for sale to fit most budgets. Radios for sale have been thoroughly checked, tested, and repaired as needed. We currently also have many console (floor model) radios for sale that have not yet been fixed. If you're interested in any of them, we can fix it right away to accommodate your purchase. Did you know that AM 1430 KZQZ plays oldies all the time? Did you know AM 770 WEW plays big band and old radio shows such as Jack Benny or Burns & Allen on Saturday mornings? Vintage sounds to come from your vintage AM radio!! How cool would your home look with a collection of vintage counter-top radios? Answer: Supremely cool! 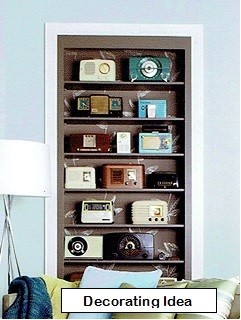 See how a collection of retro radios was featured as a decorating idea in Ladies Home Journal, February 2010. Capehart portable AM radio in a plastic cabinet (or sometimes called a case), made in 1954 or 55, in Dresden White. It has a scratch on one side and small scratches on the top where it looks like someone scraped off a price tag at one time. 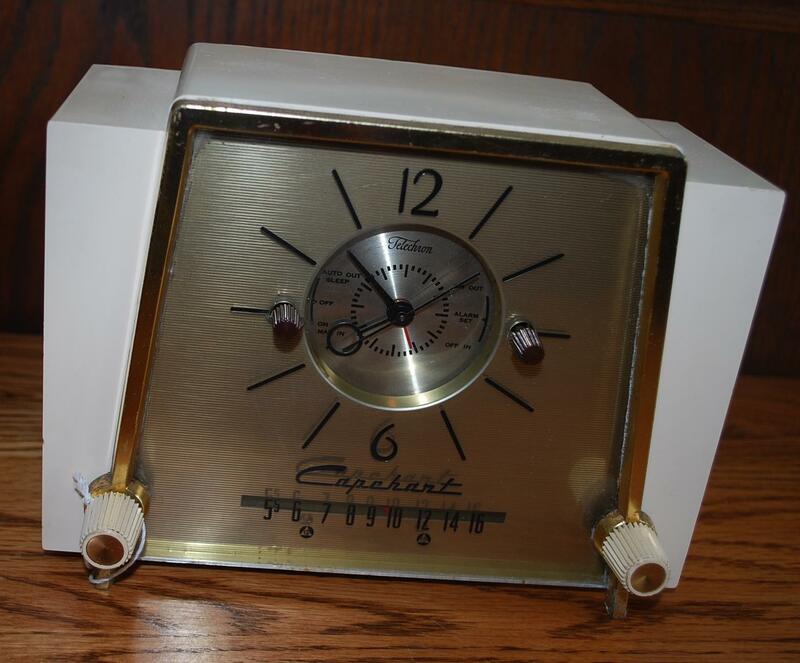 It is a model C-14 is an AC operated AM superheterodyne receiver with electric clock, alarm and sleep function. Model C-14 has a selenium rectifier. There is also a radio-phono switch. It is made of modern plastics (no Bakelite or Catalin). This is a tube-style radio, 117 Volts AC 60 Cycles 25 Watts, 5" wide to the knobs, 9" long, 6-3/4" tall, 6" deep. 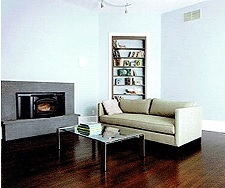 It has been electronically completely refurbished by an FCC-certified technician to like-new function. Not only beautiful but functional, too! (See list below for work that was recently completed on this radio.) Included is a 30 day warranty. 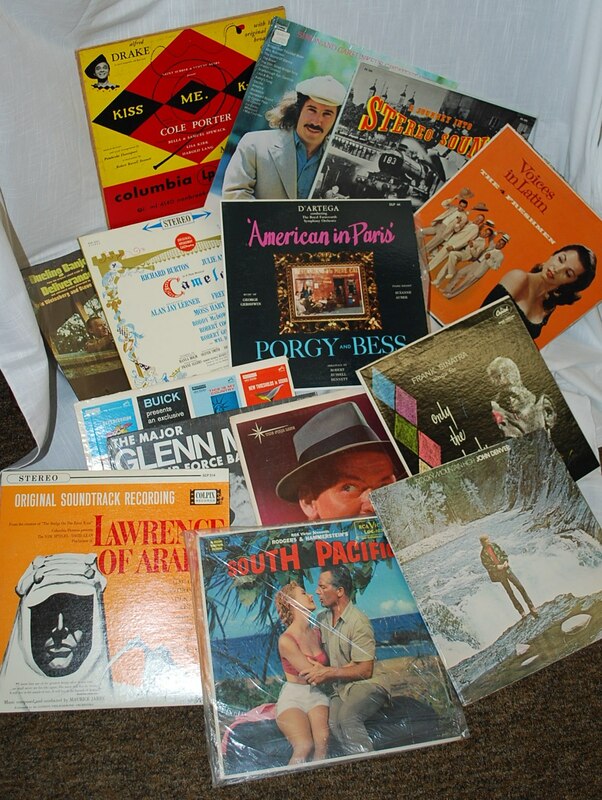 We just acquired a big bunch of LPs with a lot of show tunes and musicals, vintage top 40, and Sinatra and Glenn Miller. This is just a fraction of them in the picture! C'mon by and check out our new inventory that includes console HiFis and more! We have acquired a large amount of original SAMS Photofacts from the 1980s mostly that cover televisions. It will take me the rest of my life to inventory and show all the sets we have in our possession. As I do so, I will post a list here on our website that I hope will become the go-to spot for people who need these Photofacts. If you see one that you need, please email us at BiStateVintageRadioRepair@gmail.com or call us at 618-416-6563. Price will be $4.95 each. Shipping cost of $5 will cover any quantity of Photofacts that you want. Thank you for your interest!! We have also acquired a large stock of Mallory parts that would have been used in televisions. I have inventoried about one-third of them and list them here. These are all new old stock (NOS). If you see any that you need, please email us at BiStateVintageRadioRepair@gmail.com or call us at 618-416-6563. Price will be $4.95 each. Shipping cost of $5 will cover any quantity that you want. Thank you for your interest!! 750o T. 500 #2 T.